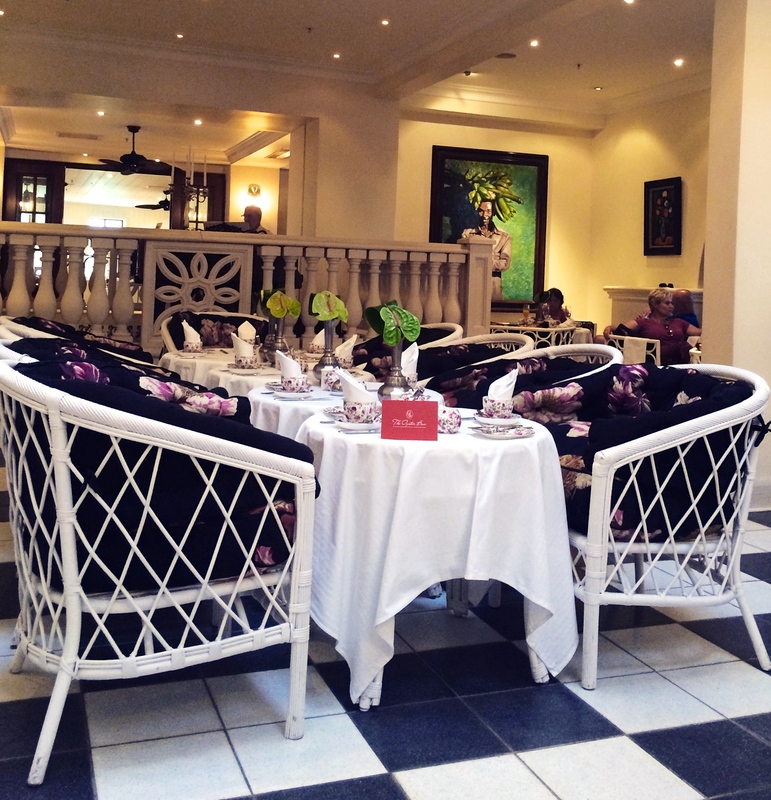 Instead of seeing the New Year in in the traditional way, we chose to have High Tea at the Oyster Box Hotel early in January to celebrate the beginning of 2015. The Oyster Box is a 5 star hotel bang on Umhlanga’s beachfront behind the lighthouse which gives the beautiful views a unique feel. 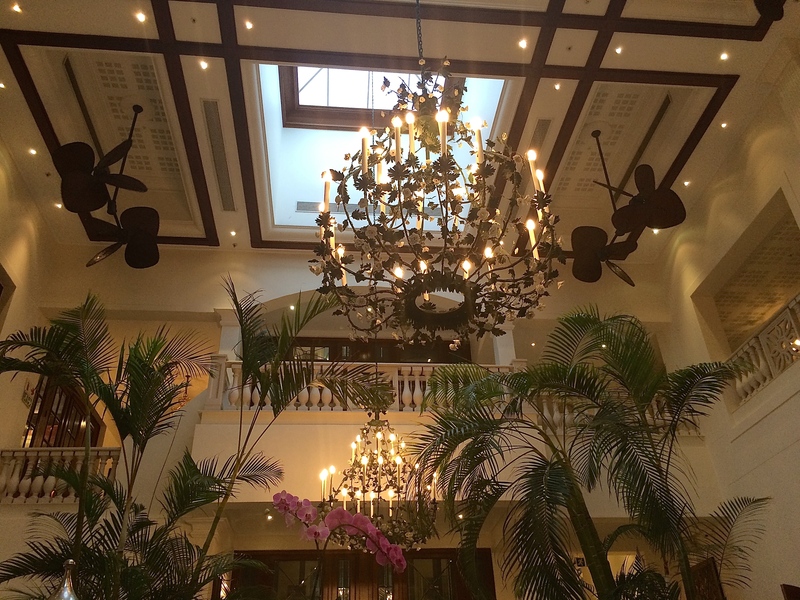 The colonial style of decor is lovely and so authentic that I almost expected to see Jay Gatsby arrive, with Daisy on his arm. 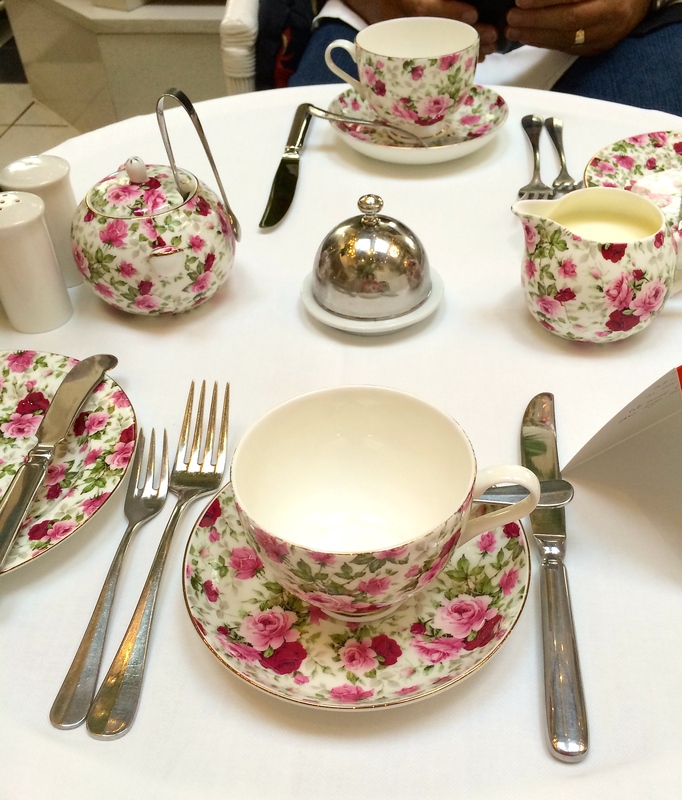 The concept of High Tea emanates from the English. High Tea is different from Afternoon Tea in that it is eaten at a table. 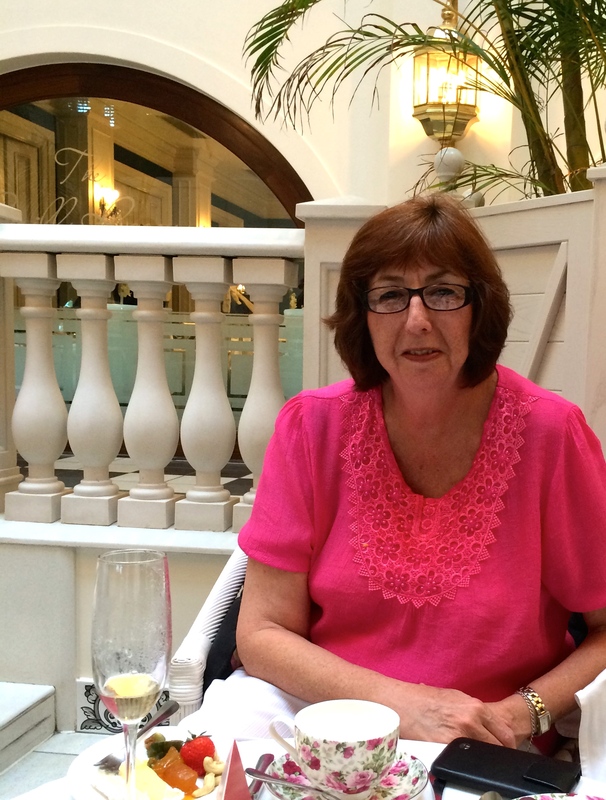 Usually Afternoon Tea is to be had whilst seated in low, comfortable chairs. 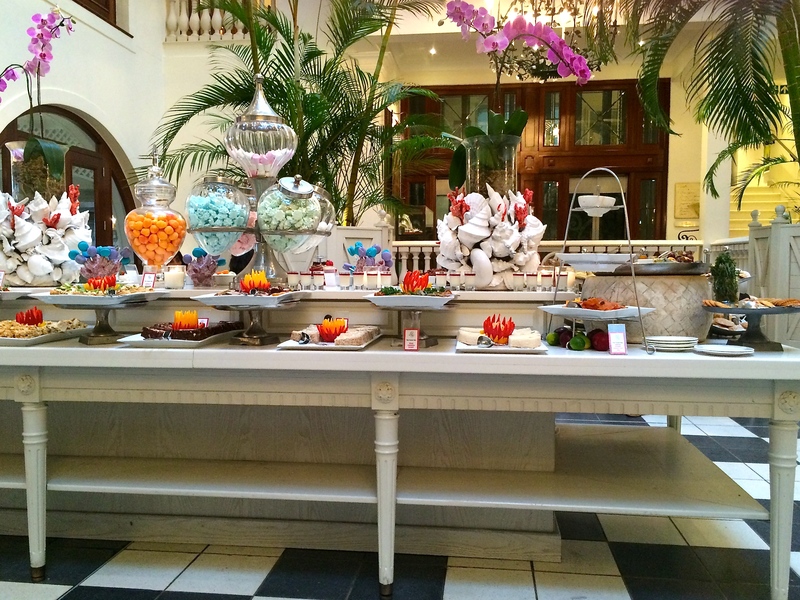 The difference between High Tea and Afternoon Tea is really the height of the table! The Oyster Box uses Maxwell Williams settings and the pretty pink and white tableware complements the surroundings perfectly. The service was excellent from the welcoming glass of sparkling wine to the farewells at the end of the afternoon. The tea table was groaning with delicious food, from savoury to sweet. I really enjoyed the bite sized eats which made to easier to try a whole range of foods without getting too full. A highly skilled pianist provided the background music for a memorable afternoon in beautiful surroundings. This was my first High Tea experience and I’m hooked. It’s certainly a great way to see in the New Year.